From $500 Down! 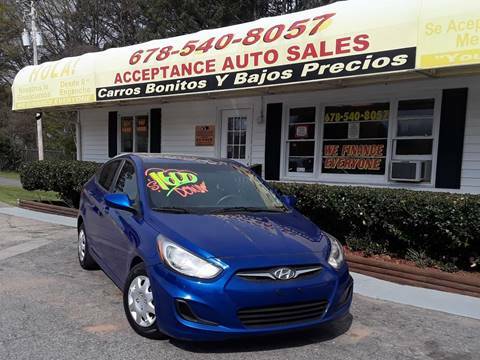 We have a large selection of low down payment vehicles. 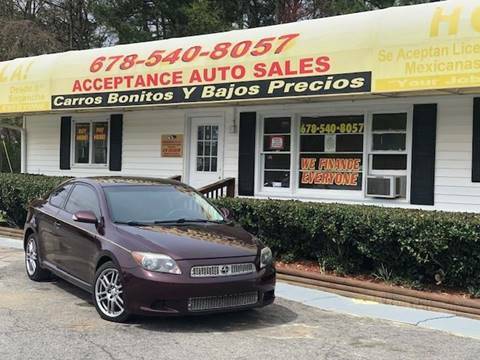 Welcome to Acceptance Auto Sales Marietta Used Cars Lot. 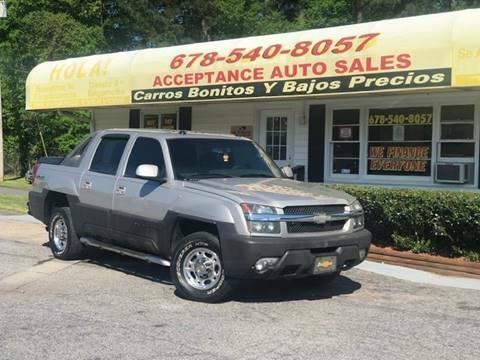 If you are looking for a Marietta Used Cars lot, an Atlanta, GA Used Cars inventory, or used cars for sale, used vehicles, usedcars, pre-owned cars lot serving the Austell, GA area, you have come to the right place! 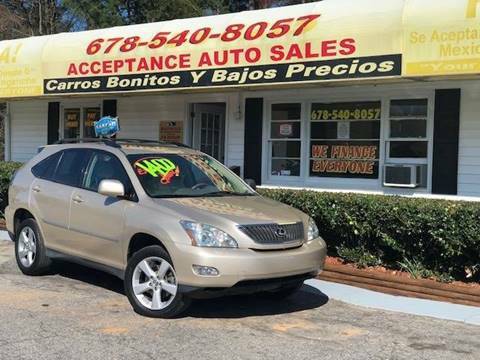 We are your Used Cars for all of Marietta and the outlying areas, including Atlanta, GA, Austell, GA. 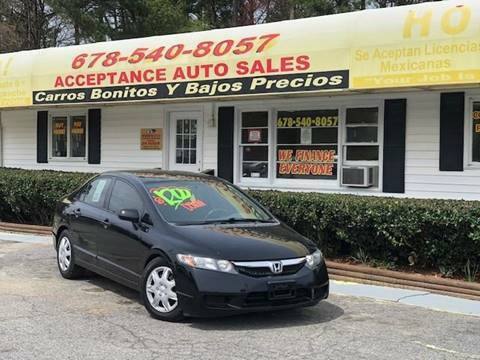 Acceptance Auto Sales in Marietta, GA your Atlanta, GA Used Cars lot and Austell, GA Used Cars lot, has a reputation for great service. 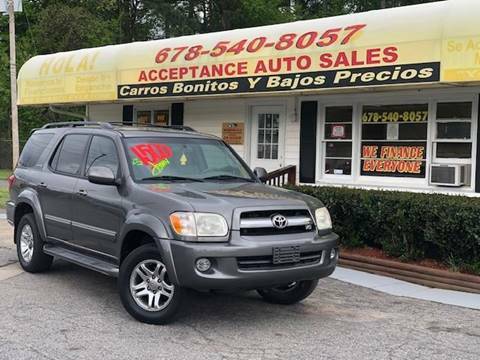 From used cars for sale, used vehicles, usedcars, pre-owned cars you will not find a lower price than your Marietta Used Cars lots. 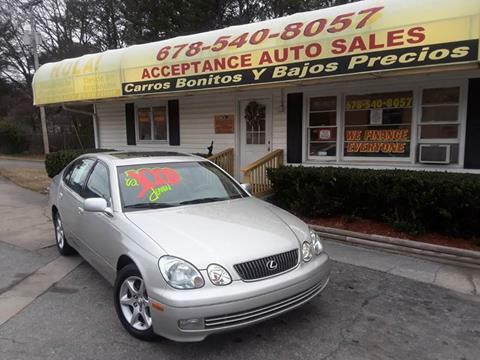 We've got the used cars for sale, used vehicles, usedcars, pre-owned cars you're looking for. 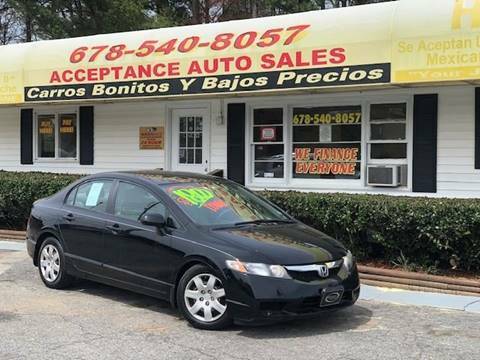 Acceptance Auto Sales has a large Marietta Used Cars inventory on hand. 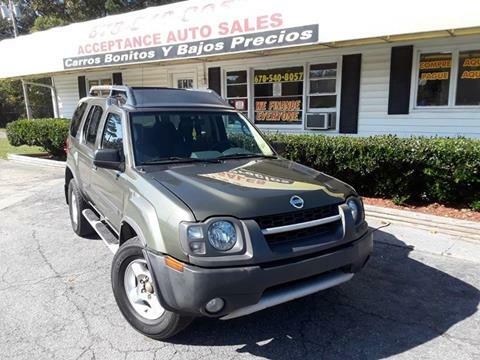 Come see our selection of Used Cars . 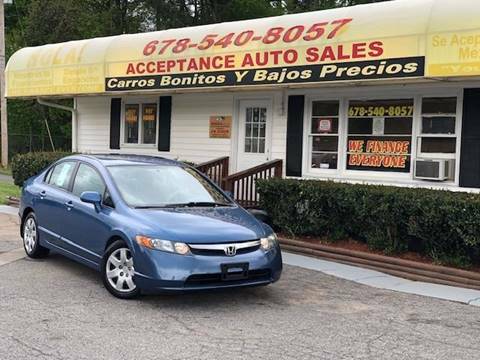 See our used cars for sale, used vehicles, usedcars, pre-owned cars inventory from Acceptance Auto Sales in Marietta. 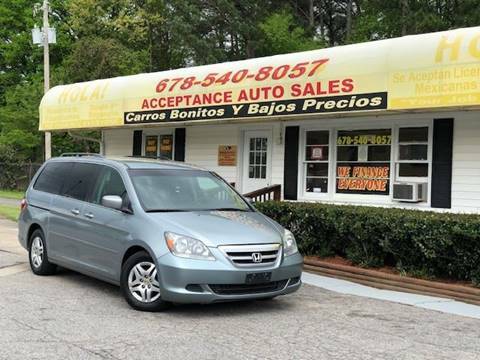 Get a well-maintained, competitively-priced, Used Cars in Marietta at Acceptance Auto Sales. 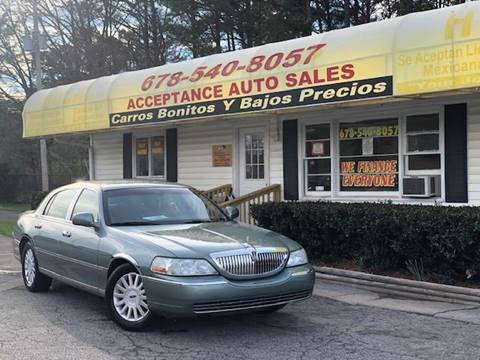 While we are the premier location to buy a Used Cars, we also serve customers from Acworth, Atlanta, Austell, Clarkdale, Dallas, Douglasville, Hiram, Kennesaw, Lithia Springs, Mableton, Marietta, Powder Springs, Roswell, Smyrna, Woodstock. 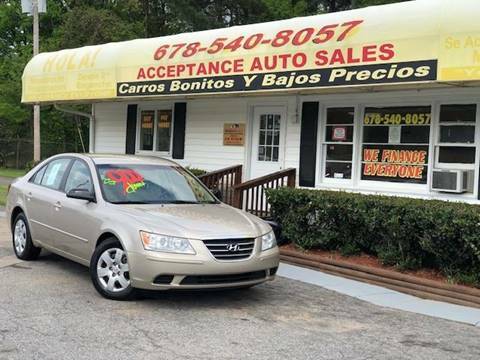 Browse our Marietta Used Cars inventory to view details about our low priced, high-quality Used Cars and used cars for sale, used vehicles, usedcars, pre-owned cars. 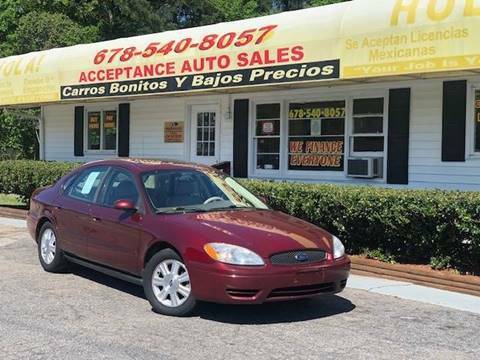 Having problems locating a Used Cars in Marietta? Complete our Used Cars Finder form and we will alert you when your dream vehicle arrives at our dealership. We hope that you find our website helpful to your needs. 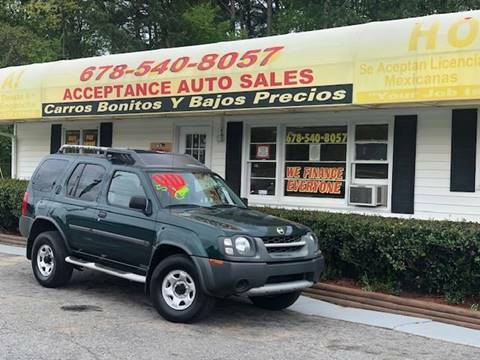 Although Acceptance Auto Sales of Marietta in GA doesn't stay open 24 hours a day, our dealership website is always open all day, every day! 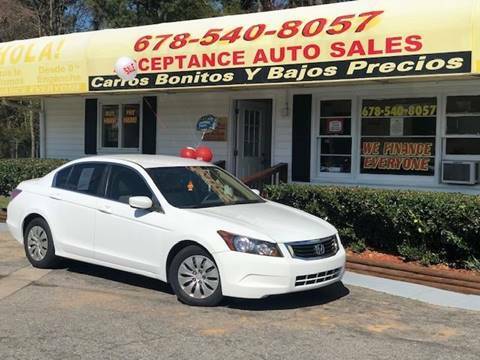 On our website which serves Marietta area customers, you can research our Used Cars, Used Cars , used cars for sale, used vehicles, usedcars, pre-owned cars. 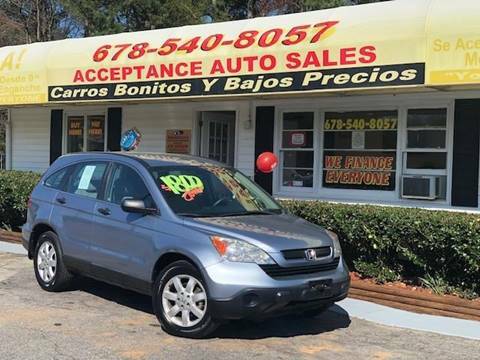 Search the extensive inventory of all the Acceptance Auto Sales Used Cars that we offer at great prices, request a vehicle price quote, view pictures and data about the Used Cars or learn about our Used Cars that we currently have. Give us a call at (678) 540-8057.